Puck color: green. 2 Air Hockey Pushers. 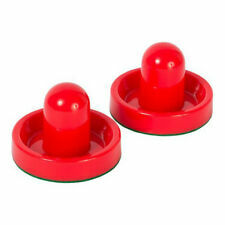 2 Air Hockey Pucks(64mm）. Due to the difference between different monitors, the pictures may not reflect the actual color of the item. Mini style for children table. ). 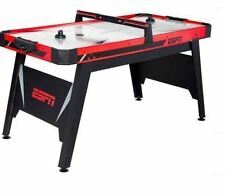 48 inch Air Powered Electronic Hockey Table - FAST SHIPPING! BCP SKU: SKY3880. Air spreads evenly, allowing the puck to glide smoothly across the table. Puck: 2"(Dia). Everybody loves a fun family night, and now friendly competition can be at the center of it all! 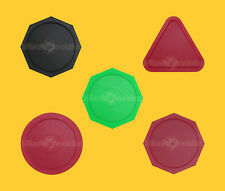 It also features non-marking rubber pads to protect all your table surfaces. 5MIN ASSEMBLY: Just attach the 2 goal boxes and you’re ready to play! 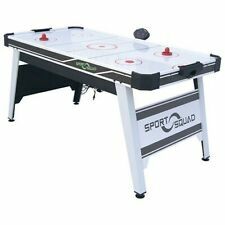 Battery-operated air hockey table for rec room or den - Features PVC laminated MDF materials - Includes plastic accessories, 2 paddles, and 2 pucks - Electronic scorer on side helps track game score - Dimensions: 48" L x 25.5" W x 32" H; 25 lbs. LED scorer with integrated cool sound effects. We have included everything you need, just simply unbox, assemble, plug, and play. You will have endless hours of fun. Set up for one-on-one competition and invite your friends over. Set up for one-on-one competition and invite your friends over. We have included everything you need, just simply unbox, assemble, plug, and play. You will have endless hours of fun. Whether you are just starting to learn air powered hockey or table tennis, or a seasoned player, anyone can join in the fun and competition. Trending at C $164.66eBay determines this price through a machine-learned model of the product's sale prices within the last 90 days. These goalie mallets do not have felt pads and are the finest traditional mallets you can buy. Table Top Air Hockey Game . Shipped with USPS First Class Package. This is a small table top made in China game, 18 inches long, works well in orginal box. 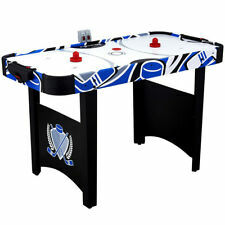 Best Choice Products 40in Air Hockey Table w/ Electric Fan Motor, 2 Sticks, 2 Pucks - Multicolor. Air hockey table complete with 2 pucks and 2 strikers. Strikers: 2"(Dia). 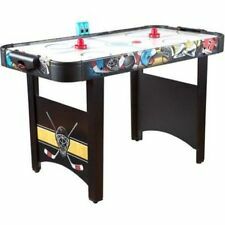 Includes: Air hockey table, (2) Strikers, (2) Pucks, Power adapter. Overhead scorekeeper for the Pro Style Air Hockey Table. You'll have countless hours of fun on the arcade-tested ProStyle. It's testament to toughness is that it is approved for play by the U.S. Air Table Hockey Association. AIR HOCKEY BOARD, 2 PUCKS, 2 PADDLES AND 2 SCOEW KWWPER. TABLETOP AIR HOCKEY. THIS ARCADE-STYLE, TABLETOP, AIR HOCKEY SET IS GREAT. 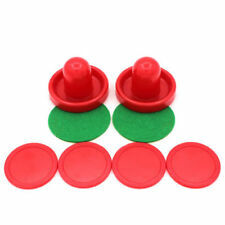 Uses 3 1/4" air hockey pucks. Lights along the outside flash when scoring. Coin Operated?. : Free Play Only. Dynamo-logo protective side shields included. We have many partners who would be happy to install and setup your machine if you would rather not do so yourself. Bring an opponent, your competitive spirit, and maybe a friendly wager. Give it your Best Shot. Accepts Dynamo 3-piece side shield set. Non-coated aluminum rails for fast deflection. Best Shot Air Hockey. Lot of 3 Vintage Air Hockey Pucks - Commercial Sized 3 ¼"
They Look Original with the snowflake logo- Get them before they are gone. You certainly know more about this item than I do. The universe brought you here for a reason. Give it a go. 16 Ounce bottle. Also includes a microfiber cleaning and polishing cloth and a can of silicone spray. Only a light film from the cloth should be used. Use with caution to avoid puck fly-offs. 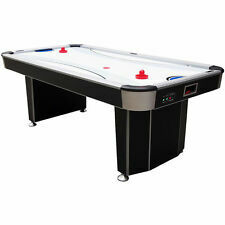 This black vinyl air hockey table cover fits 7 or 8 foot air hockey and pool tables. It is a black vinyl cover with weighted corners. Mylec Street Hockey Goalie Pads Medium Lightweight Foam Padding FLASH SALE! Once you've got your hockey fix, quickly switch to table tennis. Whether you're just starting to learn air hockey or table tennis, or a seasoned player, anyone can join in the fun and competition. This air hockey table cover is indeed heavy-duty and is made out thick, black backed "naugahyde" (heavy vinyl) that has an aged leather look. It is fitted (like a fitted sheet), so that the air hockey table's top and sides are protected. Tabletop hockey game - Metal and plastic - Includes 1 table hockey frame, 2 strikers, 1 rechargeable puck with 1 USB charging cable - Can be used on a tabletop with a smooth surface - Easily portable and great for camping and vacations - 23.5" W x 52" L x 1.5" H; 2 lbs. Buxton Tabletop Air Hockey Game 50635 FREE SHIPPING. Shipped with USPS Parcel Select Ground. Puck Floats on Air. Arcade Sound Effects. Takes two AAA Batteries (not incl.). Tabletop E-hockey puck - Plastic - Includes 8 pucks and 8 USB charging cables - Can be played on table, counter or floor with smooth surface - Pucks hover with powerful fan when fully charged - 2.5" Diameter x 0.75" H; 0.07 lbs per puck. 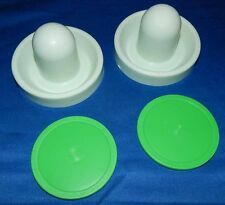 2 Small Air Hockey Table Pushers Plus 2 Small Air Hockey Pucks. Condition is Used. Shipped with USPS First Class Package. 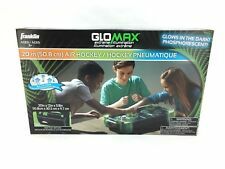 Hover Hockey Toy Air Hockey Anywhere New in Box. Condition is New. Shipped with USPS Priority Mail. 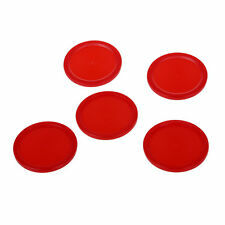 Table Top Air Hockey Pushers / Paddles 4 Red 2 black & 6 red pucks 1 black NICE. Condition is Used. Shipped with USPS Priority Mail. Blue Streak Air Hockey. Uses 3 1/4" air hockey pucks. (They may place it in your garage, but are not required to do so.). Coin Operated?. : Coin-Operated Only. Dyna Blast blower system. Overhead electronic scoring unit. Air hockey is an actively played arcade game. It is played using pucks and mallets with two players on opposite sides of the table. When shopping for air hockey equipment, there are a few things you need to know. How do you choose an air hockey table? Air hockey tables come in different sizes. You should always choose a size that fits the available space in your house or shop. Tables for commercial use are usually about 8 feet long, and it's the hockey table used in arcades. If you are a professional player, you could go for these full-size air hockey tables. On the other hand, children and amateurs can enjoy playing with 40-inch tables, especially if space is limited. 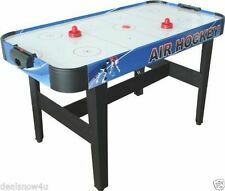 Air hockey tables are also differentiated by the power options available. The game gets its name from the fans that blow air over the table. These fans are located under the air hockey table and are either powered by batteries or an electronic setup. Battery-powered tables are ideal for people who intend to carry their tables to locations that lack electric outlets. How do you choose your pucks? The size: Professionals play with large 3.75-inch pucks. These are easy to control although players have a hard time getting the puck past the strikers. Smaller pucks have diameters of about 2.75 inches. The weight: The weight of a puck is usually related to its size. Light disks fly across the table and can be harder to direct. Also, a lighter puck indicates that the power of the fans is low. The material: These products are made using plastic. Some may choose hard, high-quality plastic because these pucks are durable and scratch-resistant. 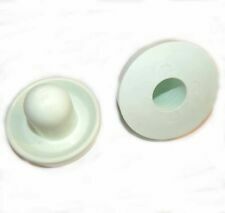 However, pucks made using softer plastic are ideal if you intend to play at home. This is because they produce less noise. The shape: Pucks are typically circular in shape. However, you can choose to go for triangular or octagonal items. How should you choose a mallet? The size: The size of the pusher is mainly determined by the size of the air hockey table. Using large pushers on a small table makes the game less competitive since you can easily block the puck. However, if you have a large air hockey table, you can use bigger pushers. The weight: A heavier pusher is easier to control because all your energy is transferred to the item. The weight is linked to the size of the pusher and the material used to make it. 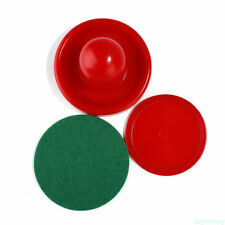 Felt pads: Some strikers are designed with felt pads under them. This serves to protect the table from damage. Such pushers are ideal if you are playing at home. 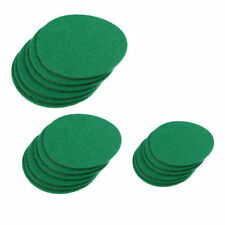 However, if you are buying the pusher for professional games, you may not need the felt pads as can lead to a slower game.